This site is dedicated to the friends, family and supporters of Mat Ranillo III. 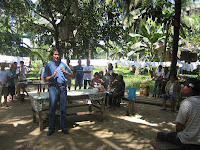 He is running for Congressman in the second district of Zamboanga del Norte. The people there have been plagued by poverty for many years and it's time for change. Help uplift the current situation of the people and BE THE CHANGE! Early in kindergarten, I recall how we were tasked to write about our hero. It was the time of the superheroes and fantasy characters such as She-Ra, the Care Bears, Rainbow Brite and others. I idolized these characters just like any other girl back then but when it was time to talk about our chosen hero and share it to the class; I chose to talk about my father. As a young girl, my father has always been protective of me. He would take me to Tagaytay to make sure that I got fresh air; he made sure I didn’t get any bruises from playing and stopped me from doing my gymnastics because I might get hurt. As a father, he was also very loving. He never hesitated to tell me that he loved me every single day and I would often get hugs and kisses from him. My classmates and teacher thought that I wanted to talk about my father because he was popular for playing roles such as “Kristo” and “Lorenzo Ruiz.” For me, my hero was and still is my dad because he was better than any other superhero- he was human. Just like the superheroes of today, he has his weakness, his “kryptonite” so to speak. But unlike Superman, his weakness is not an external material but his love for others. At the peak of his career back in the 80’s, his first born daughter came into this world--me. He decided to give up his career and be a full-time dad, taking daily pictures of me, putting me to sleep, collecting my teeth and even my baby hair. 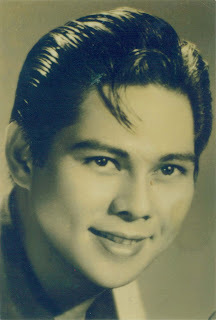 His love for me became a weakness because the matinee idol put his flourishing career on hold when he could have just entrusted me to a yaya and enjoy his superstardom. Even before I was born, and many people might not be aware of this, he was stabbed 2 times in his lungs and chest area. In the year 1979, before he left for shooting, he asked two of his housemaids to buy him something from the nearby store. Unfortunately, there were 3 men who attempted to hold up the maids and my grandmother, Gloria Sevilla (who was on her way home) saw the incident and screamed for help. 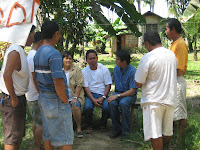 My dad, my grandpa Amado Cortez and some of my titos came out of the house to help. My grandma, being closer to one of the men decided to stop him from running away. Just in time, my dad pulled my grandma away and got stabbed instead. He was on the brink of life and death because the stab wounds were an inch away from his lungs and he was losing blood fast. Witnesses did not help because they thought that they were watching a shooting. Little did they know that Mat Ranillo’s life was 50/50. He saw injustice and decided upon himself to act without question, without hesitation. He put his life on the line to save his mother’s and helpers’ lives. It was his love for others that pushed him to act and not out of duty or for the sake of machismo. His health suffered, he lost projects and he is left with scars on his body and a weakened lung. In the year 1992, my younger sister Trixie was born in the States. She was born with an open cleft-lip palate and had to undergo surgery as young as 10 months. The family had to live there for a while to accommodate my sister’s surgeries and monthly check ups. My father had to get a regular job and raise his family on his own. It was hard enough to take care of a child with a delicate situation but it was harder to uproot yourself and take risks in a foreign country. I had ironically called my father’s love for others a weakness because time and time again he sacrificed his career for others. In the kind of world we live in, people would sacrifice their families and loved ones for their chosen career. My father did otherwise and his love for others which was metaphorically his weakness became his strength. He showed me the value of having genuine concern for others, to put the other before yourself. People may have advised him to put more importance on his career but it showed that love can really make a person do extraordinary things--even put your life on the line. What mattered for my dad was not the fame, money or worldly things. In fact, I don’t even remember the last time he bought himself something he liked. My dad’s acts of bravery did not make him a hero to me. His humanness did. People know him as Mat Ranillo, the artista. In my eyes, he will always be my hero, my protector, my source of strength. I didn’t have to look far to find my hero…because he was beside me all along. I believe in the value of the human being, in his dignity, being created in the image of God. I believe that human beings who have less in life should have more in law. I believe that our youth are the future of our province, indeed of our nation and therefore they deserve to occupy center stage in our plans and programs. 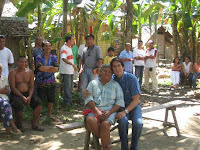 I believe in the importance of valuing and showing respect to the elderly, rich or poor. I believe that education and economic programs should be nationalistically-oriented in its goals, policies and programs. I believe that the development of our natural resources is in our hands, as everything comes from God, it should therefore be loved, protected, cultivated and cared for. I believe in a Zamboanga del Norte, a grand part of the Filipino nation founded by truth, built by justice and amplified by love. Whose dreams and hopes are anchored on the ideals of our forefathers who offered their lives in defense for truth, justice, and the right of every human being to be loved as a fellow creation from the Hand of God. Mat's Godfather in Politics is Romy Jalosjos. He is the #1 supporter of Mat and has entrusted all his leaders to Mat. 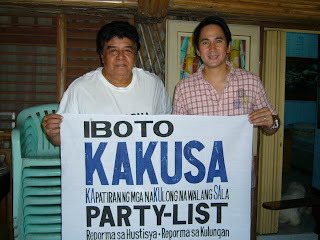 Romy Jalosjos is also spearheading a partylist called KAKUSA which caters to prison mates. Chairman Screening Committee, Electoral College of the Film Academy of the Phils. Grandfather: Atty. Matias Castillion Ranillo Sr.
Father: Atty. Matias "Mat" Kaper Ranillo Jr.
"I am running for Congressman in the 2nd district to lead a movement for change. I believe that leadership should be more participative than directive, more enabling than performing. All communities in the 2nd district of Zamboanga del Norte are provided with appropriate and adequate programs for Social Welfare, Education, Health care and Livelihood Programs." The pursuit of a legislative agenda towards a populace that is socially-accepted, healthy, educated and has the capabilities to meet their basic needs. The provision of more school buildings and other facilities and learning materials for the Elementary and Secondary schools. The provision of more employable skills by strengthening the Formal and Non-Formal community-based Vocational and Technical Education Skills Development Capability to meet the demands of Industry and Agriculture in the second district of the province. The development of community-based Health Organizations capable of providing Community Health Management Systems and affordable medicines. The provision of appropriate Post-Harvest and Processing Facilities for Agriculture and Fisheries such as the Integrated Coconut Oil Mill and the "Blast Freezing" and "Contact Freezing" Cold Storages respectively. The development of low investment but high impact community-based Ecological, Cultural and Historical Tourism that will attract more local and foreign tourists and create more local entrepreneurs and employment opportunities. The creation of innovative programs such as micro-finance and enterprise clustering which will give birth to a corps of entrepreneurs in the 2nd district. The provision of infrastructure development projects such as roads, bridges, public facilities and public markets, expansion of airport and ports, hospitals, irrigation and water systems and electricity projects. 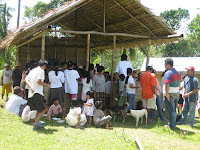 The strengthening of agricultural programs by way of: providing various farming technologies and access to technological livelihood training, promoting the government's rice and corn programs, providing veterinary services to cattle, swine and poultry raisers and promoting integrated farming system. Many have wondered, "why is Mat Ranillo III, a notable award-winning actor running for Congressman in Zamboanga del Norte?" Just like acting, politics has been in his bloodline. 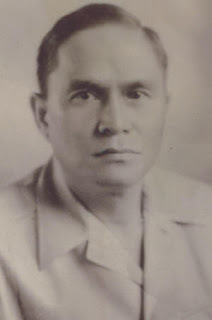 His Grand father, Mat Ranillo Sr. was the long-time governor of the province and was responsible for separating Zamboanga del Norte and Zamboanga del Sur. 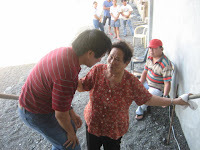 His mother, Gloria Sevilla ran for public office in Cebu City. His father, the late Mat Ranillo Jr. died in a plane crash during the campaign period. He was running for Congress as well. 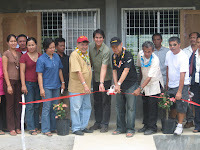 Having grown up in Dipolog city, he is familiar with the needs of the people. He is one with them in their fight to uplift their depressing situation. 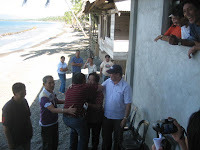 Moreover, even before he decided to run for office, he was able to provide the province with 2 school buildings, water systems for 12 barangays, agricultural inputs for farmers, computers, medicines, books, educational packages and other things that the people needed. 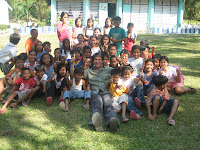 Zamboanga del Norte is a province of the Philippines located in the Zamboanga Penninsula Region in Mindanao. Its capital is Dipolog City and the province borders Zamboanga del Sur and Zamboanga Sibugay to the south and Misamis Occidental to the east. The Sulu Sea lies to the northwest of Zamboanga del Norte. The locals of Zamboanga del Norte still live in poverty. Recently, Zamboanga del Norte has been named by NEDA as THE POOREST PROVINCE in the country. People still live without electricity, clean water, medicine and children have to walk as far as 5-10 kilometers a day to get to school. People called the "Subanons" still live in the mountains and do not have any access to roads, education or hospitals. Many have died because of fever and other minor illnesses due to the fact that medicine is unaccessible to them. The people rely mostly on agriculture and commercial fishing to get by. 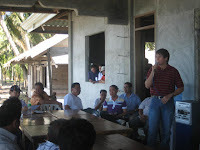 However, bad weather and lack of livelihood have been a burden to the many farmers and fishermen of the province.